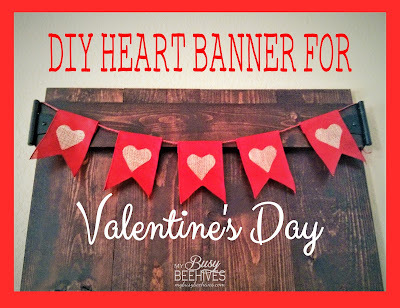 This easy DIY heart banner is the perfect addition to your Valentine's Day Decor. #1 I started out with some ribbon. This one has a linen/burlap type feel to it. #2 I decided how long I wanted each flag on my banner to be and cut a template out. 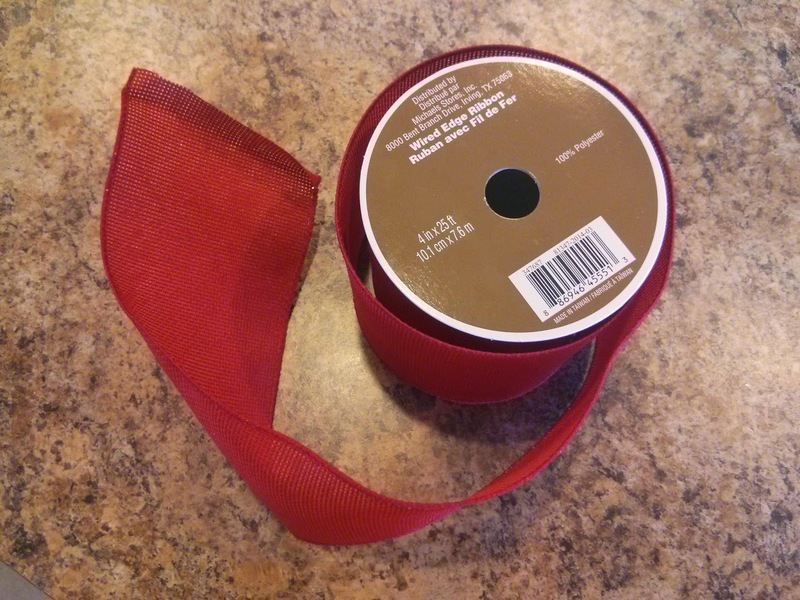 Make sure you factor in a little extra at the top to fold down over the string. 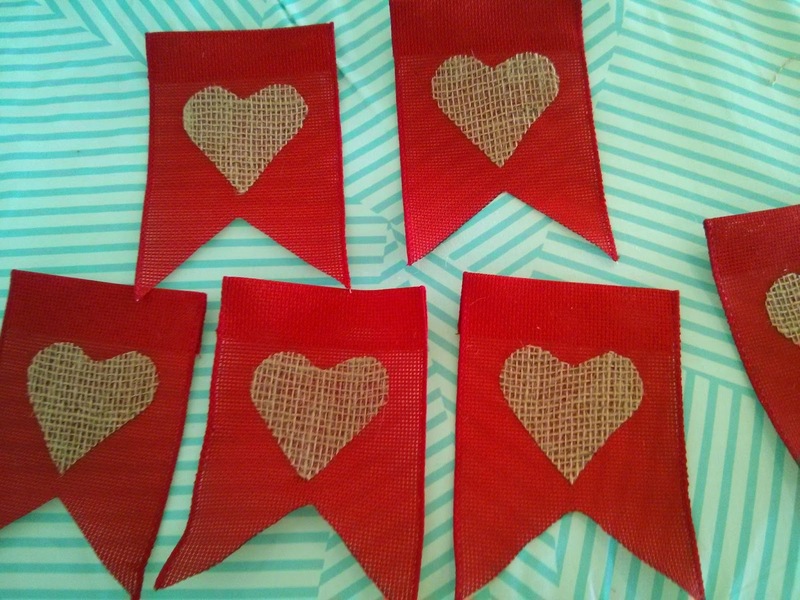 Using a pencil I marked the ribbon as I went and then made all my cuts for as many flags as I wanted. #3 Here's my stack ready for the next part. #4 I took some rolled-up burlap and added some iron-on adhesive to the back. #5 Trace whatever shape you want onto the back. 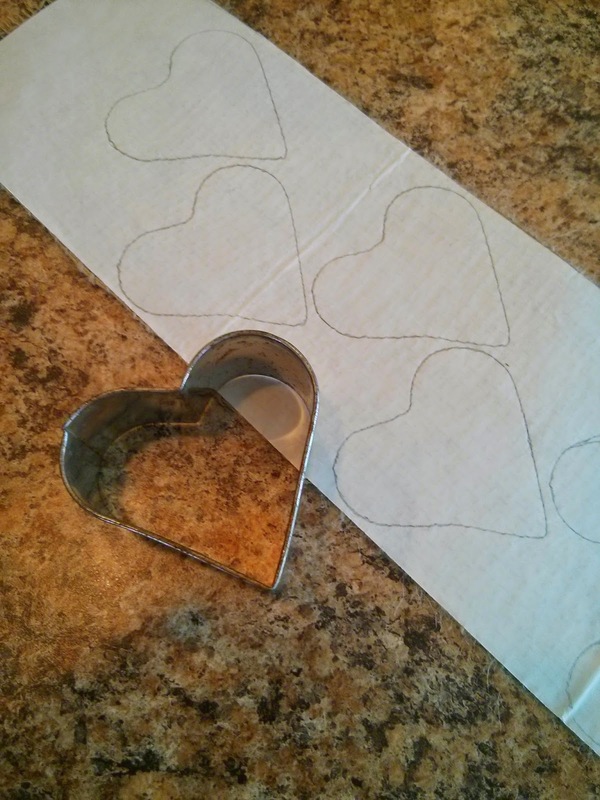 As you can see, I used a cookie cutter to trace around to get my heart shape. Then cut out your shapes. #6 Take one of the flags and fold the top inch or so down. Use an iron so that you get a crisp edge. Attach a strip of iron-on adhesive like I have in the picture. 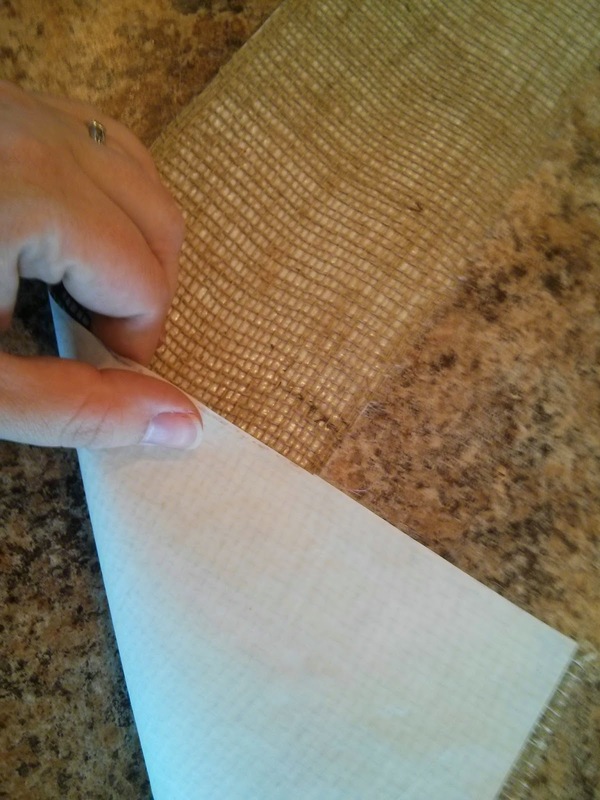 Remove the paper backing and iron it down onto itself. 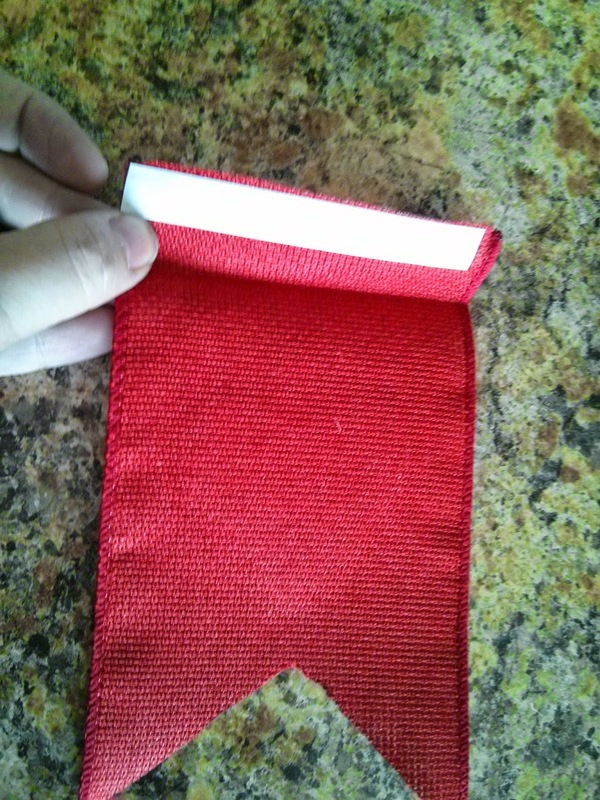 When you are done you will have a space or pocket to thread the string through, similar to a curtain. If you are really planning ahead- you can lay the string down into the crease before you iron it shut and then you don't have to thread it through later. #7 Then flip over your flag and iron your shape onto the front. 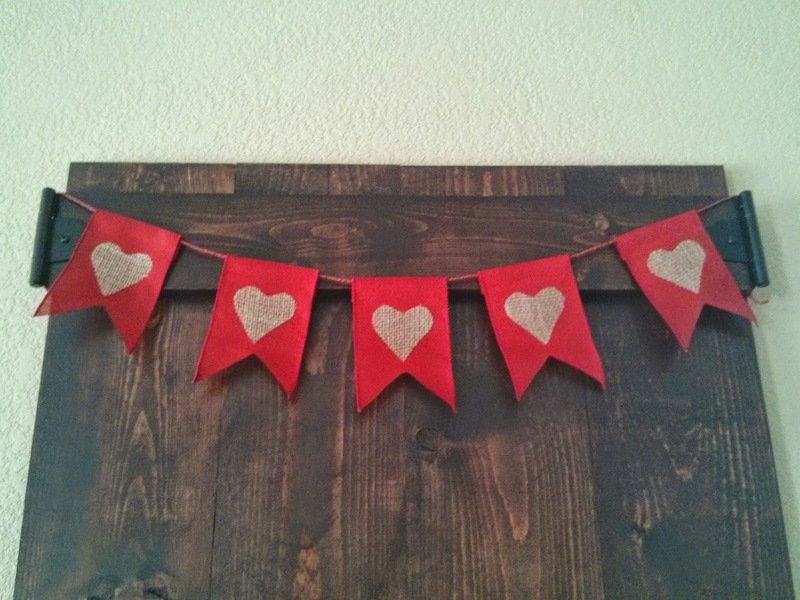 I love an easy banner and this is so cute! 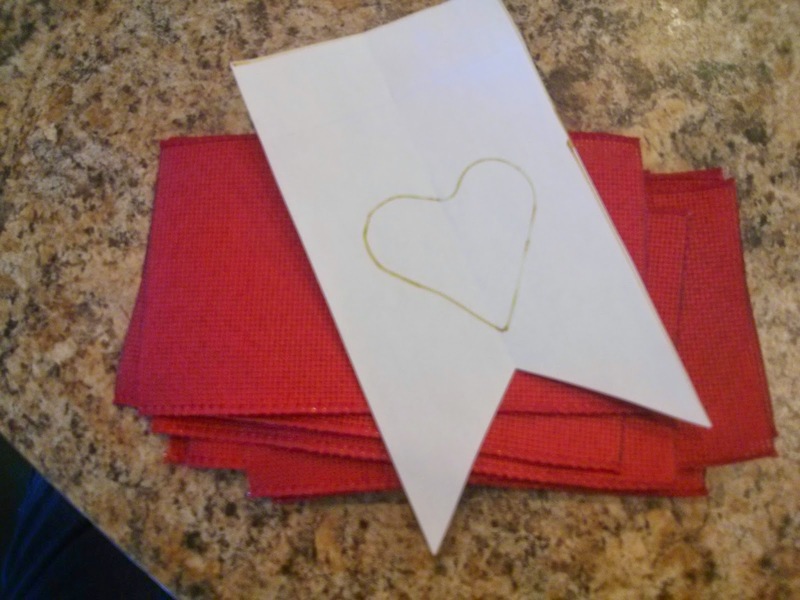 Thanks for sharing with us at the Valentine's Day Link Up party! Pinning to share. How cute! 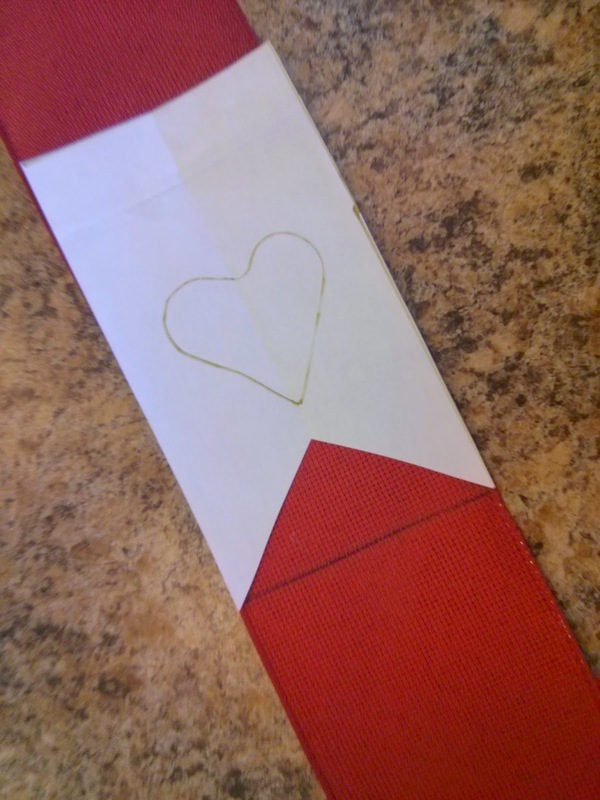 Thanks for sharing your Valentine's Banner with us at Snickerdoodle. Pinning to my Valentine's Board. I'm so glad you like it! Thank you for the feature! Hi. 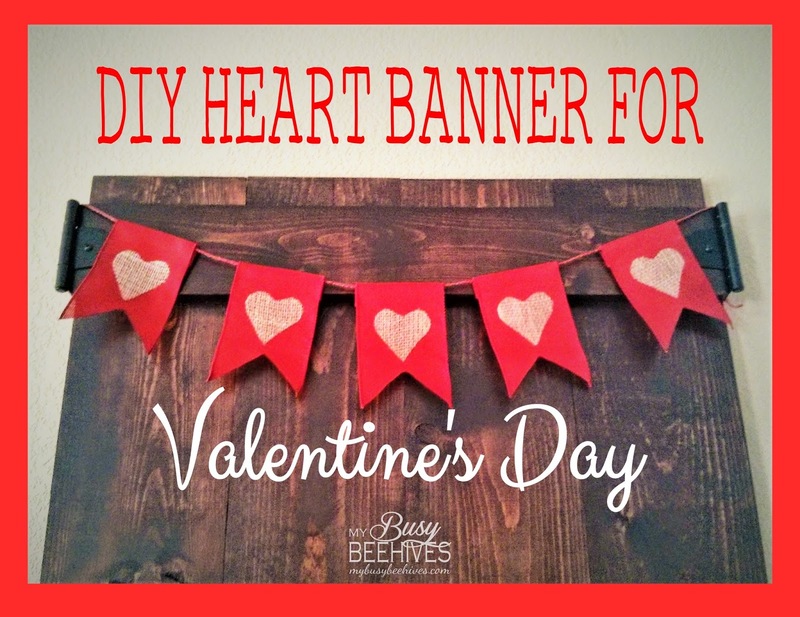 Just letting you know that twochicksandamom chose your banner to feature on our blog for the Valentine's Day Link Party. Great banner!